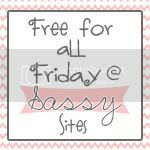 For those of you who are new to Sassy Sites, this is how it works. 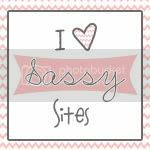 Link up anything that you would like, for example... family blogs, photography, pinterest finds, crafts, food, etc. And link up as many times as you would like, just use a different post/picture for each link up. At the end of the week, we will pick a lucky number, via random.org, and that link up becomes our new TOP SPOT for the week and we will dedicate our Sunday Spotlight to YOU! So, the more times you link up, the better your chances of being chosen. Easy right? or in other words... no rules! thanks for hosting, miss marn! MUAH! Thanks so much for having me today. Hope your Friday is fabulous. Happy Halloween weekend too! Thanks for hosting Marni!!! Have a great weekend and a Happy Halloween! Thanks for hosting. Happy Weekend!